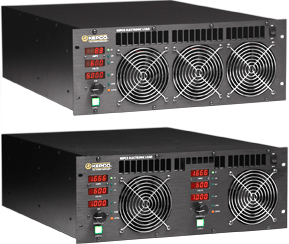 Kepco's Ethernet/LAN bipolar DC and unipolar DC power supplies and electronic loads provide a simple and easy to way to monitor and control the devices using standard Ethernet/LAN networks. Just plug Kepco's -E Series power supplies and loads into a LAN using a CAT 5 cable. 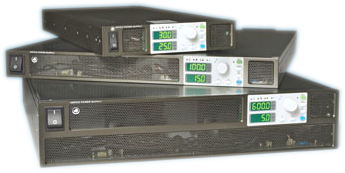 Any computer or mobile device with a standard browser and access to the LAN can monitor and control the DC power supplies and loads. Connected to the Web, the controlling and monitoring devices can be anywhere. Communication is either through a web page or by using SCPI commands via LabView and Telnet. 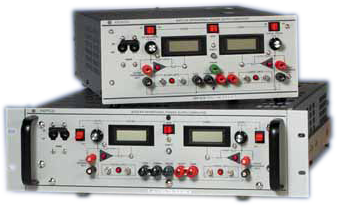 Using Kepco Ethernet/LAN power supplies avoids the costs and limitations of traditional control buses, like GPIB. Limitations on distance and number of devices are no longer constraints. There is no need for special cables nor interface controllers, dramatically dropping the cost of each instrument added to a system.